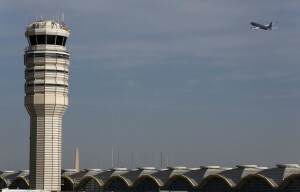 WASHINGTON — A chronic shortage of controllers has reached a crisis that will lead to widespread flight delays if left unchecked, officials for the union that represents air traffic controllers said Tuesday. The Federal Aviation Administration has failed to meet its hiring goals for controllers for five consecutive years, leaving the number of air traffic controllers at its lowest level in 27 years at a time when air traffic is increasing, National Air Traffic Controllers Association officials said at a news conference. The number of “certified professional controllers” — those who are no longer in training and can direct air traffic without assistance from a more experienced controller — has declined 10 percent from a peak of 11,573 in September 2012 to 10,859 as of Aug. 22 of this year, the union said. Trish Gilbert, a union vice president, likened the situation to April 2013 when automatic, government-wide spending cuts imposed by Congress forced the furlough of 10 percent of the controller workforce. During the seven days the furlough was in place, 12,760 flights were delayed — about three times the normal number. The disruptions were greatest at some of the nation’s busiest airports. Amid complaints from disgruntled travelers, Congress passed an exception to the budget cuts for controllers. Meanwhile, of the 10,859 certified controllers, 30 percent are currently eligible to retire, Gilbert said. She denied the union simply wants to increase its numbers. FAA officials didn’t immediately reply to a request for comment. The shortage has meant controllers at some of the nation’s busiest air traffic facilities have been working six-day work weeks for years, union officials said. They said safety isn’t at risk, but they also acknowledged that controllers’ work schedules are causing widespread chronic fatigue. NASA warned the FAA four years ago that chronic controller fatigue was undermining safety and urged the agency to eliminate six-day work weeks as soon as possible. The FAA had asked NASA to study controller scheduling and its impact on fatigue. Jim Marinitti, a union official who works at the Dallas approach control facility, one of the nation’s busiest air traffic facilities, said controllers there have been routinely working six-day weeks since 2006. The union’s complaints were especially unusual because labor relations at the FAA have improved markedly during the Obama administration, and the controllers association rarely airs complaints publicly. Gilbert blamed the situation on “bureaucratic inertia.” She said FAA officials have long been aware of the problem and have been working to resolve it, but have simply been unable to overcome red tape and lack of communication, among other issues. Part of the blame belongs to Congress since the FAA has also been hindered by uncertainty over how much money the agency will be able to spend, making planning difficult, she said. In 2013, the agency was able to hire almost no controllers because of budgetary uncertainty, she said. As of August, the FAA had only hired 1,178 of a planned 1,772 air traffic controllers it had planned to hire in the 2015 federal budget year, which ended on Sept. 30, Gilbert said.